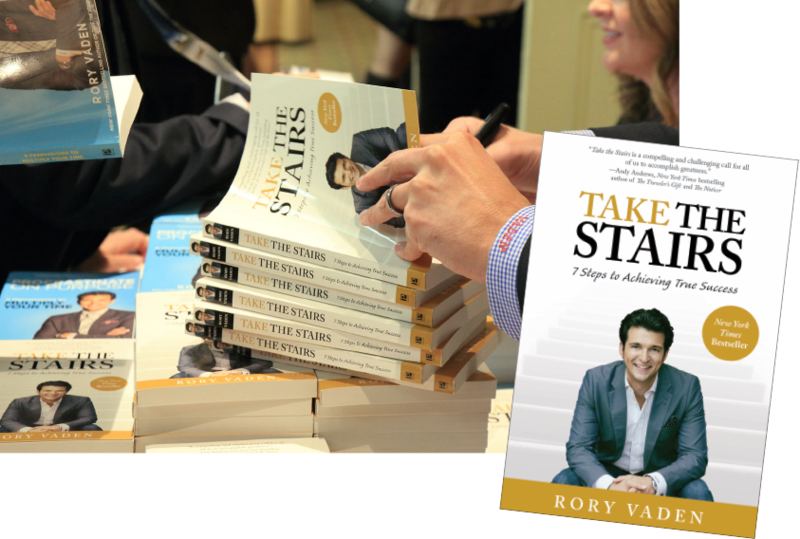 Rory Vaden is the New York Times bestselling author of Take the Stairs. His insights have been featured in the Wall Street Journal, Forbes, CNN, Entrepreneur, Inc, on Fox News national television and in several other major media outlets. As a world-renowned speaker, His Tedx talk has been viewed over 2 million times, he is a 2x World Champion of Public Speaking Finalist and he was recently named as one of the top 100 leadership speakers in the world by Inc Magazine. He is also the Co-Founder of Brand Builders Group where he teaches people to build and monetize a rock solid reputation™. Rory only accepts 30 invitations to speak each year. Extend an invite here. Every business or enterprise needs to have their people performing at the highest possible level. Yet, a recent study of 10,000 people reported the average employee wastes 2.09 hours each day at work on non-related job tasks. The Average salaried employee in the US makes $39,795 per year which translates to costing a company approximately $10,396 per year per employee! PROCRASTINATION, as it turns out, is one of the most expensive, yet invisible costs to both individuals and companies worldwide. Is it possible that this imperceptible problem is taking money out of your pocket, preventing your company from growing, or holding you back from promotion? 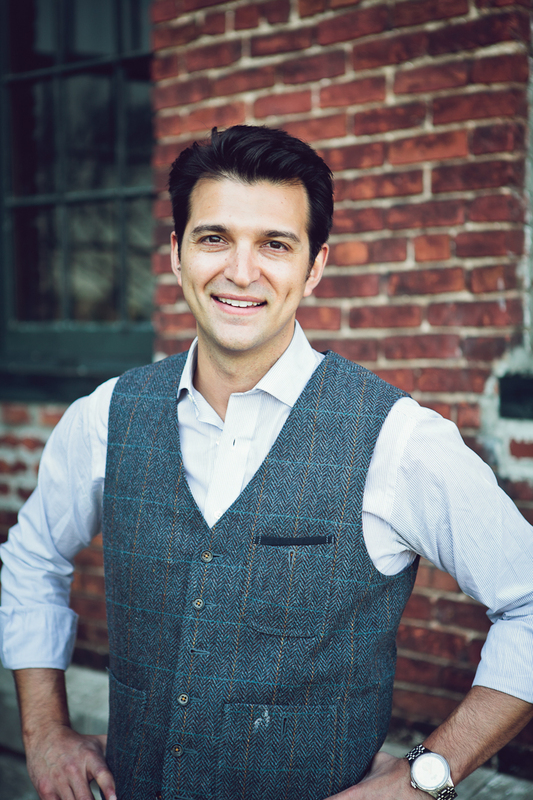 Strategist and business speaker Rory Vaden shares key insights and erases common misconceptions about how to overcome procrastination, creative avoidance, distraction, priority dilution, fatigue and other common day success saboteurs by building lasting self-discipline. Disregard their fear and take immediate action. Develop an awareness of their creative avoidance. Stop making excuses and stop procrastinating. Engage in happier, healthier, more productive lifestyles. Quit looking for shortcuts and get back to work. Adopt an overall results-oriented attitude of discipline. Be more disciplined and Take the Stairs more often in the mall, the airport, and in life situations. This presentation will include graphically displayed frameworks, critical introspective questions, live audience interaction, and humorous real life anecdotes. That is the power of becoming a celebrity expert in your space and it’s more possible today than ever before. But the amount of information, techniques and tactics related to personal branding is daunting and overwhelming. There are so many books to read, so many tools to learn, and never enough time to get them all implemented. In this empowering and enlightening session, New York Times bestselling author and Inc Magazine Top 100 Leadership Speaker Rory Vaden, will compile and condense all of the best strategies he’s learned from spending countless hours and investing tens of thousands of dollars learning from the top personal branding experts in the world. You will learn the simple and straightforward tactics that you can use to immediately build your personal brand, monetize your message, and increase your influence. When you have a powerful reputation customers flock to you, those around you are loyal to you, and your brand has enough trust to withstand scrutiny and setbacks. But, if you have a weak reputation, then it’s hard to stand out from the crowd, you’ll struggle to attract and keep great people and even the smallest hint or suggestion of a mistake can bring you or your business crashing down. The real brand of any business is simply the sum of the reputations of the people inside that business. Yet most people and most companies have virtually no strategy, intention or process to shape their personal reputation. Because of that they lose relationships, they lose revenue and they lose trust with the general population. New York Times bestselling author and Inc Magazine Top 100 Leadership Speaker, Rory Vaden and his team at Brand Builders Group, have studied, researched and developed what they call “The Reputation Formula.” Rory can share with you a seemingly simple but powerful step by step process to give you the kind of indestructible reputation that will make you and your company legendary. Learn how to build a great reputation and watch how it becomes the ultimate competitive advantage for you and your business. Your audience will be captivated. Rory has a unique and endearing style that incorporates compelling stories with insightful content. Plus, he is (surprisingly) funny and delightful. Your audience will be challenged. Rory provides fresh concepts that they have never heard before. He will present eloquent and precise ideas that expand traditional thinking yet are data driven and based in real life application. Your audience will be inspired. Rory introduces principles and frameworks that are truly useful. He will will create a distinct energy that your audience has never experienced before and he will begin conversations that far outlast his time at your event. Your audience will be refreshed. Rory is a connoisseur of ideas who will bring you ten thousand concepts distilled down only to what is most relevant for you. He will spend time learning about your organization beforehand and will incorporate elements that show how he was a hand selected part of your team. Your audience will be activated. Rory has a distinct ability to call people to action. He will leave them feeling renewed and energized to go out and actually execute on what needs to be done.